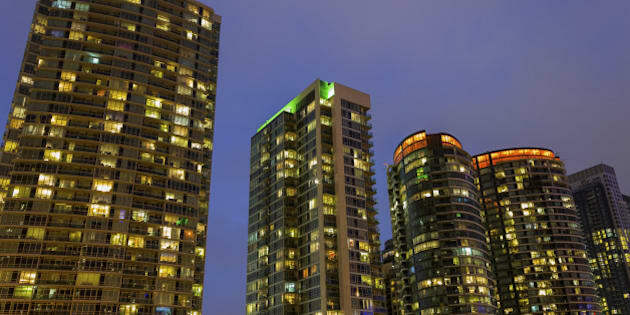 For many urban Canadians, the condo has become the only affordable housing option. But with condos come maintenance fees, and the people behind a new analysis say rising fees could threaten the value of many condo owners’ homes. Average maintenance fees in Toronto, the country’s largest condo market, have been growing at 3.4 per cent per year over the last decade, well above the overall rate of inflation, meaning condo fees are eating an ever-larger portion of household income. An average 1,000-square-foot condo in Toronto today comes with $590 in monthly maintenance fees, up from $440 in 2005, according to research from Condos.ca. Langschmidt says this “isn’t a case of don't buy a condo” — it’s a question of knowing which condo to buy. Buildings with rising maintenance fees can expect to see lower price valuations, or at least a slower rate of price growth than other buildings. The research showed a negative correlation between condo fees and prices — the higher the fees, the lower the sale prices, relative to similar properties. Buying a new condo isn’t necessarily the answer: The survey found no link between a building’s age and maintenance fees. “In fact, there are numerous buildings 20 years-plus in age with maintenance fees priced below average for the city,” Condos.ca says. While maintenance fees start off lower in new buildings, they rise faster than in older buildings, and within nine years the advantage of a new building is erased, the survey found. The things driving up maintenance fees may not be what you think, either. While swimming pools are considered a large driver of fees, they only typically account for three cents per square foot in fees. Parking, on the other hand, costs an average of $43 per unit per month — and that’s on top the of the $35,000 average cost to buy a spot with your condo. Langschmidt says it’s up to condo owners themselves to take control of rising fees. “Hold your [condo corporation] president accountable. Not everyone is suited to be a president of a company and it's the same with condo boards,” he says.